In honor of the State of Israel’s 63rd Independence Day, the IDF will hold its annual events and will open several IDF bases to the general public. On Monday and Tuesday, May 10th-11th 2011, select bases of the Israeli Navy, Air Force and Ground Forces will be open for visitors, and the Israeli Navy and Air Force will hold special events. The Israeli Navy base in Eilat will open on the eve of Independence Day (Monday), between 20:00 and Midnight. The Israeli Navy base in Haifa will open on Independence Day (Tuesday), between 09:30 and 15:00. The Israeli Navy base in Ashdod will open on Independence Day (Tuesday), between 09:30 and 15:00. The Ashdod and Haifa Israeli Navy bases will hold exhibitions of weaponry uncovered onboard smuggling vessels by the Israel Navy. 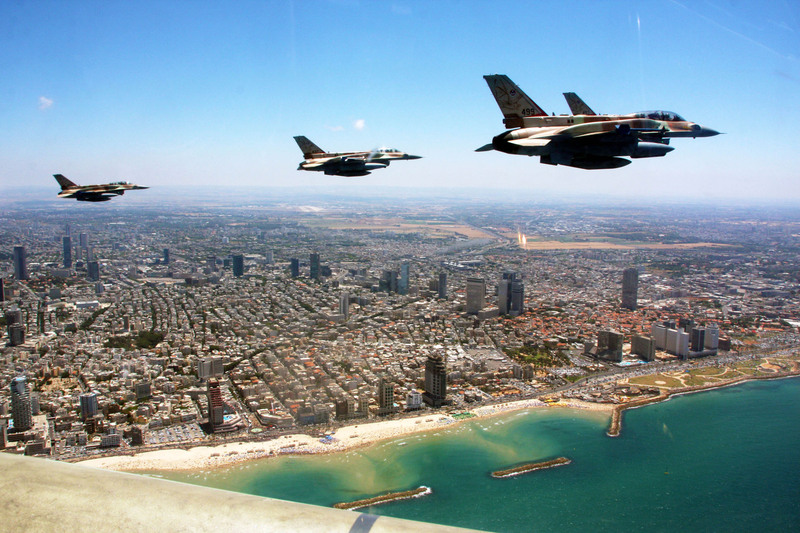 The Israeli Air Force (IAF) bases in Ramat David, Tel Nof and the IAF Technological College in Haifa will open on Independence Day (Tuesday), between 09:00 and 14:00. The bases will hold exhibits of past and present IAF aircraft, IAF weaponry and search and rescue equipment. Fast food stalls and activities for children will also be offered. At the Ramat David base, takeoffs and landings of the AS565 Panther Helicopter, dog training shows and search and rescue demonstrations will be available to watch throughout the day. At the IAF Technological College in Haifa, there will be a performance by the base’s entertainment group, a fire extinguishing demonstration, a demonstration of the AS565 Panther Helicopter and additional activities for children. An air force demonstration of historical IAF piston engine aircraft from the 1950’s. A performance by the IAF entertainment group and dance company. Activities for children, including having their picture taken wearing a flight suit and helmet as a souvenir. Guided tours, flight and aerial combat simulation theatre and more. Entrance to the museum entails a fee. In addition, IDF parking lots will be opened throughout Independence Day, between 09:00 and 14:00. In the north: Hatzor Ha’Glilit, Kiryat Shmona, Shlomi, Nahariya, Ma’alot, Nazareth Illit, Katzrin, Daliyat al-Karmel and the Golani Junction. In the south: Metzudat Yoav, Dimona, Sderot, Netivot, Ofakim, Rahat, Meitar, Lehavin and Omer. In central Israel: Efrat, Neve Tzuf, Beit El, Beit Aryeh, Oranit, Kiryat Arba, Ariel, the Jordan Valley, Beit She’an, Teqoa, Umm Safa reservation, Ma’ale Efraim, Ma’ale Adumim, latrun and Givat Ha’Tachmoshet. Weapons exhibits will be displayed at Givat Ha’Tachmoshet, Yo’av Fortress and the Golani Junction. In Latrun, an exhibition featuring several IDF forces will be displayed. As part of the IDF’s celebrations for Israel’s Independence Day, a navy showcase will take place along the country’s shores. The sea demonstration will consist of various naval vessels, including missile ships, security vessels, Naval Commando vessels and the AS565 Panther Helicopter (used for naval patrol). In addition to the naval showcase taking place in the Mediterranean Sea, a navy display take place in the bay of Eilat between the hours of 11:00-12:00 and between the hours 14:00-15:00. Over the course of the day’s events, IAF airplanes and helicopters will hold several demonstrations in the nation’s skies. One helicopter demonstration will be composed of three CH53 Sicorsky Helicopters, another demonstration will include three Hercules airplanes and a combat airplane demonstration will be composed of a Boeing 707 plane, three F015I fighter jets, five F-16I fighter jets, five F-16 fighter jets and three Gulfstream V airplanes. In addition, a helicopter display will take place above the residence of the President of Israel and an aerobatic display will fly over the country. This entry was posted in Airforce, IDF Updates, Navy, Press Releases and tagged Ceremony, IAF, IDF, Independence day, Israel, Israel Defense Forces, Israeli Air Force, Navy. Bookmark the permalink.